Monetizing any website, is a journey. It’s unrealistic to expect that you can make one change to your website and it’s going to provide you with the best possible results. The best way to approach monetizing a blog, is to focus on helping people. As an example, let’s use a Photography blog. People visit the blog because they want to become better photographers. To get someone to visit this blog, you need to provide them with lessons, motivation, inspiration and so on. Now, the same applies to when you monetize a website. A reader wants even better ways to improve their photography, whether that is with better equipment or with even more training, either way, there is an opportunity to make money. If the readers want better cameras or better equipment, you can promote other companies products and receive a commission. If the reader wants better training, or more advanced training, again, you can promote other bloggers products, or you can create and sell your own. I often think, the best websites are the ones that you can’t even see how they make money. And by that, I mean, you can see no visible advertising. Monetization doesn’t have to be obvious, in fact, I find it converts best when no one knows it’s there at all. Most importantly… it makes us less money! Selling advertising, for us, isn’t worth it. Over the years, we have tried over a dozen ways to make money and from our experience, making money from a blog, falls into two categories. Making money from selling our own products. Below, I will give you a break down of both techniques, with details on how we use them here on IncomeDiary. Keeping with the theme of Photography, finding physical products to promote such as cameras and equipment is easy. Nearly every photography related product can be found on Amazon, and Amazon have their own affiliate network called Amazon Associates. This means Amazon let’s you sell their products and you receive a commission for doing so. When it comes to any other product you want to promote as an affiliate, I usually start by visiting their website and scrolling to the bottom to see if I can find a link for an affiliate page. If I don’t see one, I will then Google their website name + affiliate. If nothing comes up, which at least, in my experience is quite rare, I will simply move on and find something else. To find inspiration for products to promote, you could look at either a competitors website to see what products they are promoting or you can try an affiliate marketplace such as Commission Junction which has 1000’s of different companies integrated with their service. 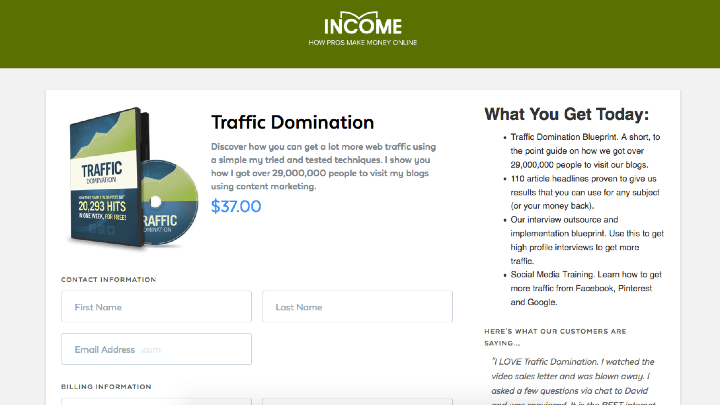 To start with, if you already have traffic I would recommend that you check to see if any of the links on your website could be updated with affiliate links. What we did, was we tracked our outgoing links with Google Analytics and then we could see which links were getting the most clicks and prioritize from there. This one change increased our earnings by about $50,000 a year. This works because people can actively see you using the service or product. For example with IncomeDiary, I recommend my hosting company, domain registrar and the blog theme we use. Using the photography niche as an example again, you could recommend the camera you use, the lens, the camera bag, memory cards and so on. Often you go to a blog and you learn something from the author. It’s only natural that you would want to copy their success by doing what they do. “I use this, so, so should you”. I have found that two things convert really well for us – the first being the ‘Offer Box’ below. In the past I have used banners provided by affiliate managers and also had some really snazzy boxes designed however this clean, simple box with a green stop sign converts the highest. Perhaps because it looks more like content, then an advert. The second thing that converts really well is adding a text advert at the top of my list posts, such as on our Top Earning Bloggers post. I added a link saying, “Want to follow in their footsteps? Check out this product”. This works because as they read the post the reader is highly motivated and inspired and wants to see themselves on this list one day. These pages are usually used to reinforce a recommendation I have already made. People like the element of choice but in reality, usually, one product is better than the rest. When you put this product up against competing products, it only shows how far better it is and should give your reader the confidence to go ahead and purchase. If they don’t go with your recommendation and choose a different product, well, that’s an affiliate link as well, so you will stay make money. You can see an example of this on our Creating a Website page. Special Note: It is also OK to put in some comparisons that will not earn you any commissions – if you are being authentic and creating trust, which you should be, then your visitors, especially your more ‘internet marketing aware’ visitors will appreciate your ‘impartial’ approach. This has started to make me more and more money as I test different affiliate offers. There are 3 main types of blog posts that make me money. They are Interviews, Guides and Reviews. One of the best ways to make money promoting products with interviews is to prepare the interview to go out as the product is launched. Why? Well, if the product has just been released, no one has bought it and so you increase your odds at making sales. Not only this, but anyone interested in the product, will look for more information on Google and social media and if your post is coming up, then they will come to your site and hopefully by from you. I recommend you do the interview over the phone (I use Skype) and record the call and get it transcribed. You then add the call to your site as an MP3 / Podcast and add the transcription for those who prefer to read rather than listen. (The transcription also gives you lots of valuable search engine content). When conducting interviews you can also review the interviewee’s products, ask them questions about it – and then at the end of the interview you can add if you wish your own mini-review of the product and the reasons why visitors should buy it. Typically your interview will only touch generally on the strategies the interviewee uses but done correctly your listener / reader will be left wanting more. This is when you promote the Interviewee’s product as a way for your followers to learn more. Depending on the interviewee and the product, you can easily walk away with dozens of sales and continuous future sales depending on how often future readers find the interview. Another tactic I use is, producing ‘How to’ or Guide Posts – just like this one. You give away great content that really helps your readers and at the same time you promote affiliate products. Visitors can see you using the products so they can decide if it’s for them or not and those who do notice you are promoting an affiliate product don’t mind because you are helping them out for free. Very Important: This is very important – do take the time to produce good content / how to posts. Despite what some gurus try to imply — there is no such thing as Free Money – you need to work at providing real value to your readers — do that and the money will follow via affiliate sales. So often I see bloggers making ‘half efforts’ at producing guides – frankly you may as well not bother if that is what you are going to do. Readers can tell if you know what you are talking about and if you are passionate about it, or not. Just about every post you do can be a partial review post if you are doing it correctly. This is the essential bit here — no one is really going to pay any attention to your review posts unless they respect you, believe in you, have rapport with you. In other words they feel you can be trusted. As mentioned in previous posts this is why pages such as the ABOUT PAGE and the MY STORY PAGE are so essential. To start building that trust and rapport you must first provide good content, valuable content. So often readers tell me they cannot believe how much good content I give away for free – if you start to get comments like that then you are doing it right. Build rapport and anything your recommend will stand a far better chance of being sold. Email marketing is often thought of as a monetization technique. But really, it’s a traffic source. It allows you to send traffic anywhere you like. And it’s good at it. Getting people to subscribe to your email list, is perhaps the most profitable thing you can do with your blog – especially if you then followup with quality emails, that further help your readers. If you ask any big internet marketer, one of the main things they would tell you is that they wished they had started to build their list earlier. Done right (which means first delivering quality information — not loads of spammy offers) than email marketing to a Strong List of followers is about as close as it gets online to printing money. 1. Opt-in boxes are displayed through out our website – for this we offer a special free gift to entice people into signing up. We also add a well designed eCover to give even more value to this FREE product. 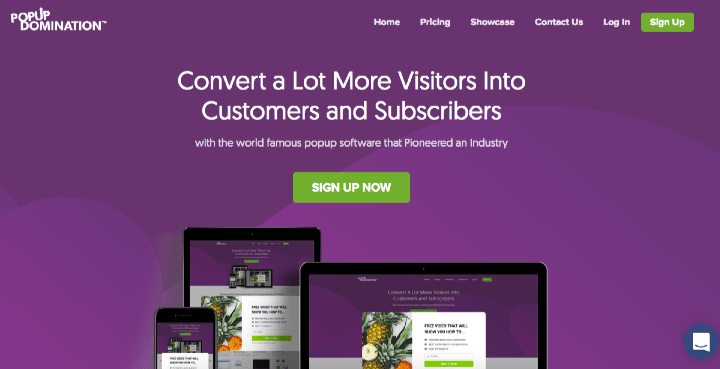 63.9% of IncomeDiary’s email subscribers come from our popup. Get OptiMonk to add a popup to your own website today! The second best way we get subscribers is via our opt-in box at the bottom of our blog posts, but this converts far lower than our popup. You would be best of focusing on these two techniques first. Here’s a good post on how we get email subscribers. 2. Visitors sign up to your email list. 3. When we have a new blog post or we find good quality offers related to our niche, we email subscribers. Sometimes we can earn thousands of dollars from just one mailing by doing this. When it comes down to email marketing and autoresponder software, we use and recommend AWeber. If you order today you can get your first month for only $1. Apart from AWeber, you may want to consider iContact. (see, this is me, giving you a choice, I will earn either way). When someone subscribes to you list, usually you offer them some sort of incentive, such as a free ebook or some kind of training. This should be monetized with affiliates products and/or it should leave them wanting even better training from you that you sell. You should save every email that converts well for you and add it to your autoresponder list, so that new subscribers, automatically get your highest converting offers. Although the following may seem like small things, the increase in conversions can be as much as 1000% in some cases, so do pay attention. Most companies will have the ability to create custom coupon codes, all you have to do is ask for them. These are great for increasing conversions as the coupon can make a huge difference such as making it a trial offer or get something free. People love to think they are getting a good deal. If you are doing a good job at promoting a product, it’s quite possible that you can get an even better commission rate. If it’s a digital product that you are promoting, then the cost of each customer to the seller is very low, so it’s nearly 100% profit. So they can and often are prepared to offer more than 50% commissions, because whatever they earn, is often a result of doing very little. Some product owners are even prepared to give 100% commission rates because money is not just earned with the first sale, but future sales and let’s not forget the ability to email them promotions. Often, coming up with a product to create is an easy task. If you’re doing a good job, your readers should be telling you what they want. If you are stuck for ideas, take a look at your most popular posts and ask yourself, can you make a product around one of these articles? 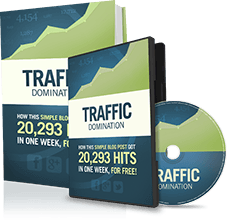 Not only has the subject proven to you to be popular but you already have a very targeted traffic source to sell too. Well, let’s assume you are creating a digital product, teaching something. And you want to deliver it as an eBook or membership website. To start with, I recommend you create an outline of everything you want to teach. Now either decide if you want to offer it in text or video, or both. If you decide you want to offer it as text, that’s simple enough, just get it converted to a PDF and give the customer the download link once they purchase. If you want to do a membership site, you need to get some membership website software and install it on your blog. Now this can be quite simple, but you may have to hire a developer, depending on your ability level. If you are offering your training in video form, just upload it to AmazonS3 and insert the videos into your site. Just in case it’s crossed your mind, if it’s a software product you plan to make. You need to find a great developer and make sure you have a budget to see the project through. If you don’t properly plan out your product, it can end up costing you a lot more than you expected! You should plan to do this in two main ways, via your own website/mailing list and via affiliates. Firstly, you need to make your readers aware of what’s coming. You want them excited. You want them to buy the second it’s for sale. We once launched a product and before we even announced it was on sale, two people had found the sales page and bought it. The next 98 customers signed up in under 100 minutes. This is because we pre-sold our audience. Not only this but we added scarcity. We told everyone that, for the first day, we only were going to offer 100 accounts for sale. So they had to be quick! A landing page. (Page dedicated to selling your product). Merchant account. (We use Stripe and PayPal). Readers visit landing page, they click the buy button, they go through the checkout page process and then pay via your merchant account. Then once they pay, they either end up on the download page or they receive an email with a link to download the product there. You will earn a lot more money from affiliates promoting your product than you will earn selling it yourself. Once you start working at this, your focus with your blog will become a lot more than a blog but rather a business. You will have assets, multiple income streams and more. Often people think, well, if all the money is be made from creating products, then why even bother creating a blog. A blog gives you credibility, authority. Without the blog, you would find it a lot harder to sell your product and also to understand the industry you are in. At least, that’s our experience. There you have it, that’s our top two strategies for monetizing any blog or website. 1. Using a popup opt-in I was able to significantly increase my daily email opt-in rate (304% +). I wish I had started using it sooner. Get OptiMonk to add a popup to your website today! 2. Test promoting different products, one product I promote, out sells all others by at least 20 to 1 and I wouldn’t have know that if I had not switched around promotions on my site. 3. ASK! My conversions and sales continual increase because I’m always asking my affiliate managers for more, a free trial, coupon codes, different landing pages – if it’s going to make you more sales, it’s going to make them more money and so they should at least make an effort to help you. Very valuable info you give there Michael. I really like how you gave some detailed info regarding multiple income sources. “do take the time to produce good content / how to posts. Despite what some gurus try to imply — there is no such thing as Free Money – you need to work at providing real value to your readers — do that and the money will follow via affiliate sales.” I totally believe in this statement, because its true and it works! The days of hard selling are gone, you must provide value first. When you provide great value first, then your subscribers/visitors will be a lot more responsive. Regarding GRAV (Gravity) in Clickbank, I thought it meant how many competitors you will have (i.e. how many affiliates are promoting the product). PS: When you’re (your) readers don’t even know your (you’re) monetizing your blog, you are doing a real good job. Gravity is a score that Clickbank assigns to each affiliate product according to their secret formula. It has to do with how many sales and how recently those sales have occurred. Another Awesome Post. Those are some great Tips. I think adding offer box after posts is one of the awesome way to make money. Thanks for sharing this great Post man. Really awesome stuff. I love it when you are at your ‘dyslexic best’ as you put it. It has an impact. A bit like some poorly produced videos that I see people making to market themselves – sometimes they are deliberately ‘ugly’ as these too can have a big impact. I was also wondering about adding a lightbox opt in to my blog – you have persuaded me and I’m going to try it. Always good to hear from you, yes I do believe it comes with an installation guide, quite simple really. Then you set all the options in WordPress, quite a bit of fun. Two great points you noted out. Something most marketers are saying but not enough affiliates are doing. 2- Promote Things You Use. These are by far the best kept secret, if there ever was one in Internet Marketing. Is there something out there that’s working for you. Great, tell people about it. Great post Michael, keep it up mate. I completely believe in both of these points Tommy, thanks for the kind words. @Michael, I like you popup, I know you used actionpop up, who design the optin form for you? or pop it several minutes after they get on the site? What happens if the user signs up for you newsletter through some other means besides the actionpopup form, would it continuously show up? A friend designed my pop up, his name is James Deer. I prefer to show it to them when they arrive as they are usually most interested then. You can set it to stop showing, show every so often or just once. I show mine once a week. Hi Michael, I was thinking about buying that opt-in box (With your affilaite link of course) but was wondering if it can be customized so I can change the full look of it (Not just the colors, more to design levels equal to your one)? Also is your opt-in box from actionpopup or it from another place (As I like the way it looks, not that I’d copy it though lol). I agree 100% with your thoughts. It still does sound too good to be true – monitizing isnt easy at all. This is great stuff Michael. Definitely print worthy so I can re-read and apply some of these suggestions. I just started my new blog and I am going to implement the plan that you shared. 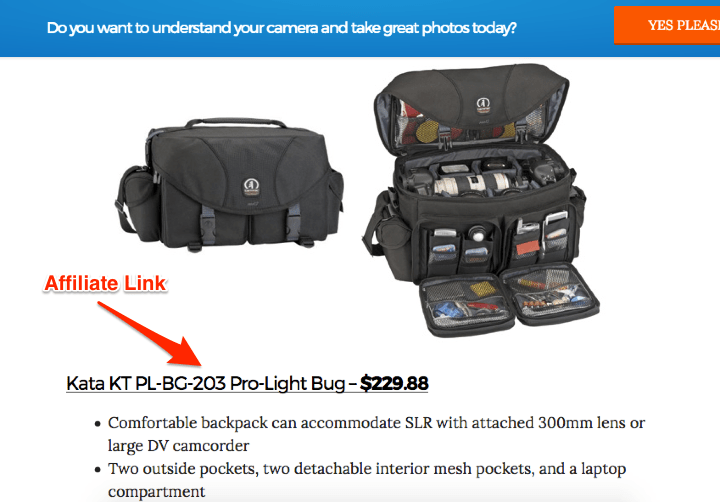 Wrapping affiliate links around great value means money. Its all about the value you offer – whether it helps your readers get further to where they want to be. Also packaging that value in the best way possible is something that I am working on continuously. Its all about interacting with your readers and giving them what they want. This was excellent. Just what I needed. I actually print this post and put it in my library. Thanks, I will read more of your posts soon. Fantastic content. You are absolutely right – if you don’t put work in, you don’t get the return. First, give to your visitors, provide them with great content, and they will reward you with opt-ins and more. Can I ask for a follow up? If possible, I’d love to hear how often you change offers, and anything you can say about list management. You definitely made my day with this one. This is really a reveal-it-all post. Many bloggers will not do this. I’ve been conscerned about offering ads on my blog but concerned with my readers sensibility. I’m just working on putting up an optin box. I think these tips will definitely help me out. Thanks a million. Michael, you are an inspiration to youths and you never disappoint with your content. Your article on blog monetization is really down to earth. Please keep it up. I’m just astonished by the way you teach these steps. I can waith to put it into action to try to get No.1 on Google for a Mobile Monopoly Web Marketing campaign and for several affiliate program I have. I really loves all those tips. I really thought advertising is the best way to make money, you opened my eyes with the affiliate products, I will try this too in my upcoming webdesign tutorial blog. Hi Michael, I started a blog about a month ago. In the beginning I put up a bunch of ads, but I realized all the points that you made about ads. I found they were ugly and distracted from the content, plus they slowed down the loading time of the site. Also, I feel like promoting a quality product gives more tangible benefits to the people who visit the site. So, I gradually moved more to affiliate products instead of ads. Even then I’m trying to just pick a few of the best products instead of going scattershot. I really like your offer box. I will try it out on my site and tell you how it works out. Thanks for letting us use it. I think that there are so many avenues out there from which you can monetize your online business,that its a great time to be online. For real sustainable income and growth creating info products and building a community around the knowledge and value you provide is truly a great model to follow, your a prime example. Its alll about the value you offer. The game is all about interacting with your readers and helping them get to where they want. Thanks for the info, Paul H.
Michael, I just found your website yesterday & I love it! I’m amazed at how much valuable content you provide…it really gives you credibility. It has really inspired me with my own blog. I can’t believe you say you’re dislexic. You would never know it. Awesome post, thank you very much! Your really putting all the cards on the table, i like that! You share some really good stuff in this post! Excellent post as usual. Congratulations. Does clickbank show the percentage of items returned? Wonderfully informative post, as usual, Michael! Keep up the good work! You are a true inspiration! I just referred another young man to your site for inspiration. Thanks for everything!